Singapore-based shipping company SDTR Marine and AVIC Leasing have signed shipbuilding contracts with Dalian Shipbuilding Industry (DSIC) for the construction of ten 85,000 dwt post-panamax bulk carriers. AVIC Leasing is the financier of the deal and has ordered the vessels as the owner to charter to SDTR Marine upon completion from 2021. Financial details of the deal were not disclosed. The vessels will be the largest vessels in SDTR Marine’s fleet. In May 2018, AVIC Leasing also ordered two 82,000 dwt bulk carriers at Jinling Shipyard under a financial leasing arrangement with SDTR Marine. SDTR Marine is a joint venture between China’s state-run Shandong Shipping and Singapore shipping company Transcenden Global. 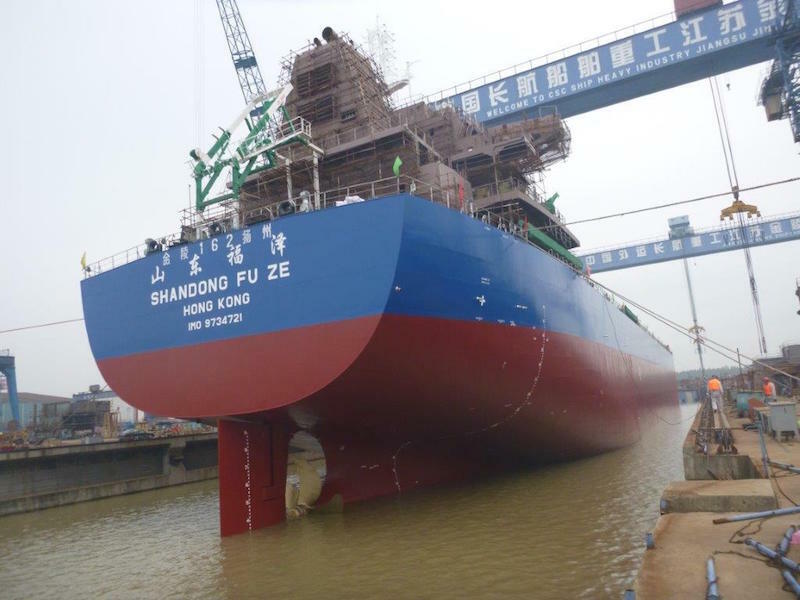 The company currently operates nine bulkers with another five newbuildings on order at Chinese shipyards. It is the first batch of orders that DSIC has received in 2019. The 85,000 dwt post-panamax bulk carrier is bigger with more economic efficiency compared to kamsarmax bulk carrier, meeting the most updated requirements of NOx and SOx emission regulations. The order will greatly improve DSIC’s competitiveness on building such type of ship.